Question of the Day: Do You Use a Bluetooth Headset? With numerous states looking to regulate talking on your cellphone while driving, using a Bluetooth headset is one of your best alternatives. However, there are still plenty of tools out there who wander around with two free hands talking on these things at the top of their lungs (here is a tip for that by the way), as well as corded headset users and people who never use a headset of any kind. 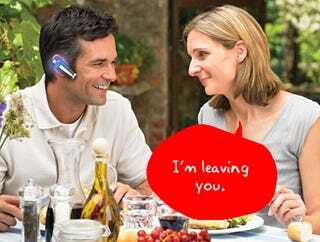 So, the question is: do you use a Bluetooth headset?